AVAILABLE OFF THE SHELF . 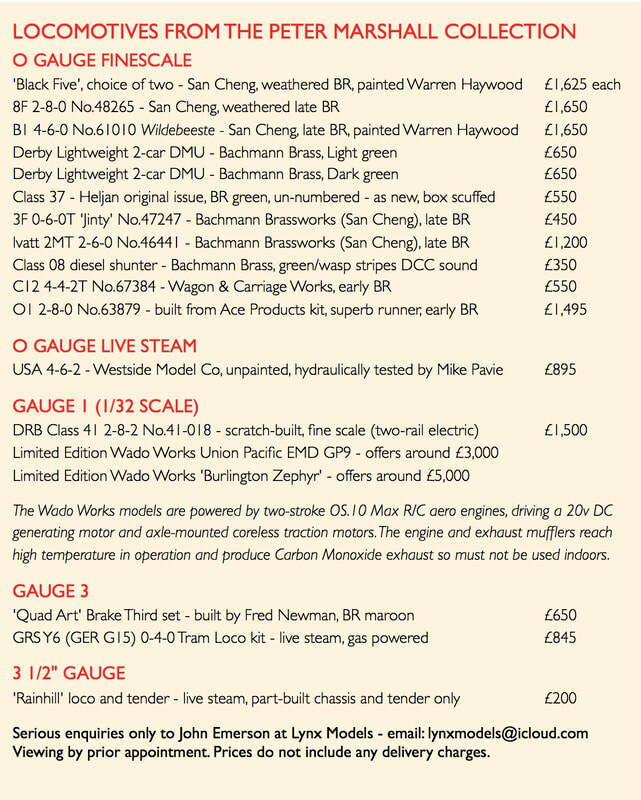 . .
Ready weathered O gauge finescale locomotives from our workshop are usually available to purchase 'off the shelf' along with selected pre-owned items - P&P charges will vary with size and weight of order, insurance, etc. All orders are securely packed - alternatively arrange to collect from a show or call in to our showroom by prior arrangement. Vulcan 0-6-0 Drewry shunter as used on Ipswich Docks, Wisbech & Upwell tramway, etc. Impetus conversion kit components have been used for the early style cab, side skirts enclosing motion, and cowcatchers. Finished in early BR weathered black livery. 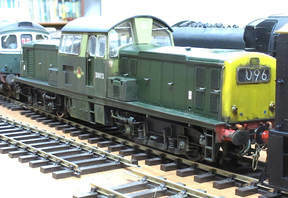 Clayton Class 17 centre cab diesel built from a JLTRT kit and finished in weathered BR green livery. Mashima motor/gearbox wired for12v DC (analogue) operation - will happily pull 40 Lionheart 16T mineral wagons ! 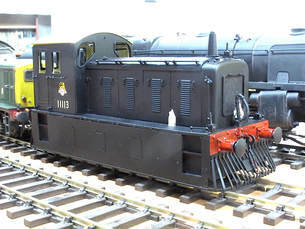 Part-assembled JLTRT Class 25/3 kit. Slater's wheels, 2x Canon motors with Ron Chaplin gearboxes. * Wheels described 'as new' are unused and in original unopened packaging. ​All wheels are finescale (32mm gauge) .